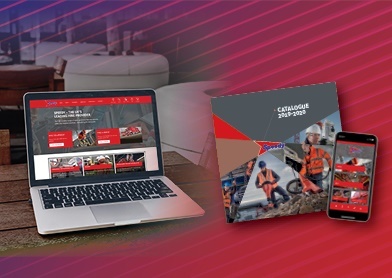 Newton-le-Willows, Merseyside, April 2, 2019 – Speedy Hire, the UK’s leading provider of tools and equipment hire and services, has announced the launch of its 2019/20 product catalogue, which is available in print, on the web and on the new Speedy mobile app. The new catalogue reflects the ongoing evolution of Speedy’s offering to the market, featuring 29 brand new products. For the first time, the new edition gives the equivalent product purchase options against the 50 most popular hire products in the Speedy range. There are also more individual consumable products listed than ever before. Products included in Speedy’s industry leading Capital Commitment service promise, where same day delivery is guaranteed if ordered by 3pm (or within 4 hours if within the M25) are highlighted throughout the catalogue, as well as its range of products available for ‘Click and Collect’. Following Speedy’s acquisition of Geason Training in December 2018, the catalogue features a significantly expanded range of training services, including a wide variety of programmes in construction and professional services. These range from apprenticeships (Level 2 to Degree level) to shorter duration safety and skills courses. Geason operating all over the UK through Speedy’s training centre’s as well as from customer sites. Thanks largely to the ongoing increase in customers engaging online, Speedy has reduced the print run for this year’s catalogue by 20,000 copies.